Soil studies, type specimens, football tournaments, crowd-sourced recipes – and more! Here's a glimpse of some newspapers that caught our eye coming off the press in October. Thanks to everyone who printed with us – we can't wait to see what's in store for next month. 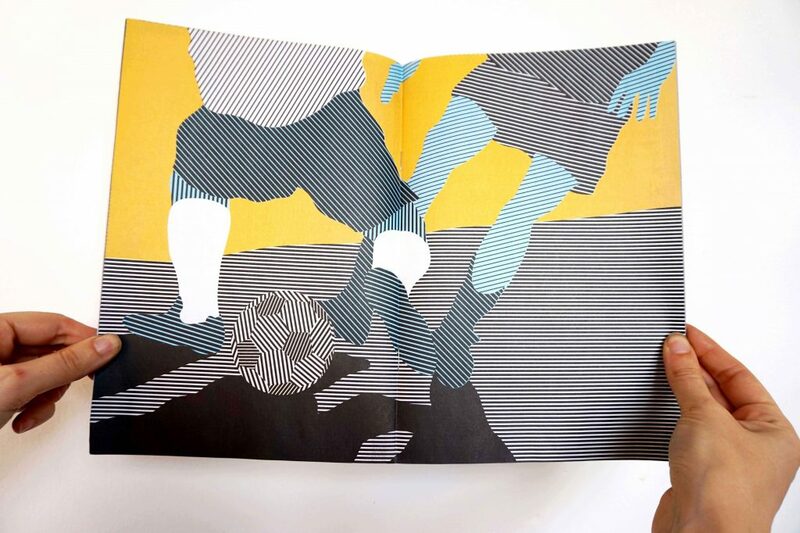 This gorgeous zine was produced by Paris's most stylish football club – Le Ballon FC, which is made up of artists, photographers, designers and writers (aka the "branché" sector, as Le Ballon's Qays Zeroual calls it). Earlier this month, Le Ballon's eight teams met to kick off the first tournament of the season – Le Grand Tournoi du Ballon. 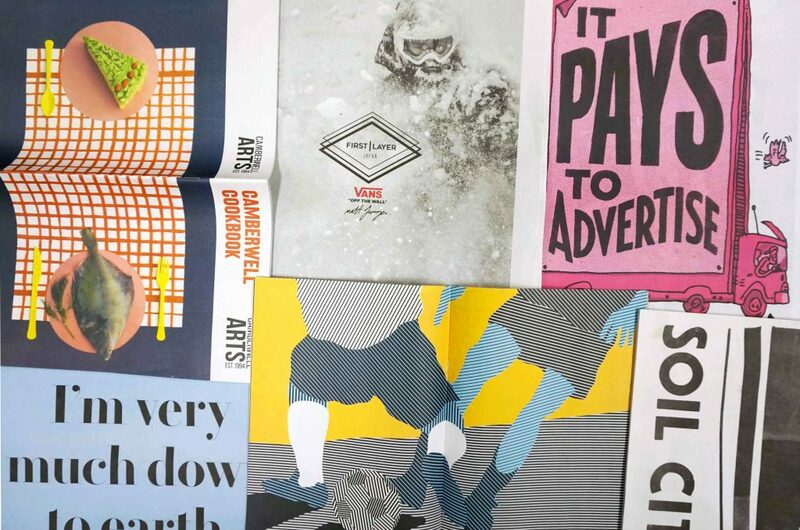 Their zine, designed by creative studio Nutmeg, introduces the players and shows off the bespoke crests created by each team (with some beautiful artwork thrown in, too – see above). 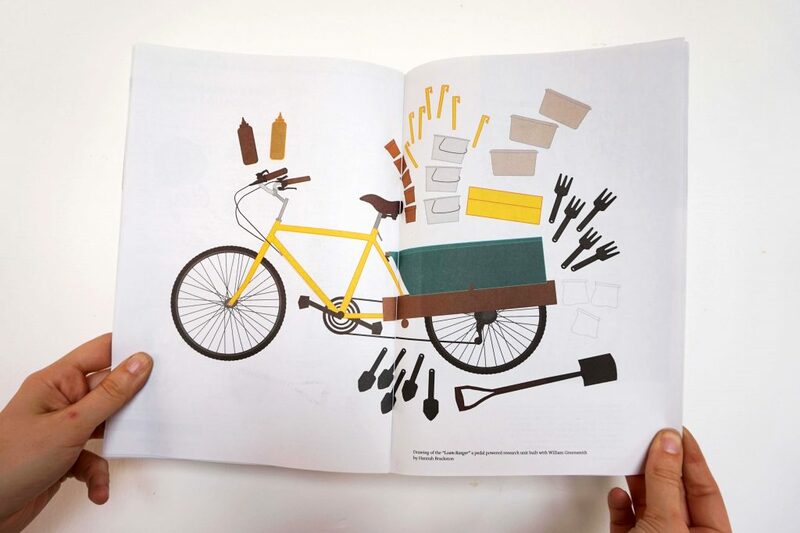 You wouldn't expect a publication about soil to be one of this month's most delightful reads. But then that's exactly why the Soil City project exists – to reveal the fascinating, overlooked world beneath our feet. Initiated by Glasgow-based Open Jar Collective, Soil City calls on citizens and a community of scientists, artists and activists to "reimagine the city as if soil matters." The Soil City zine, which launched at the Radical Independent Bookfair Project in October, documents the research and conversations so far. Design and layout by Design by Zag. Twice a year, creative agency Radley Yelder puts together an internal newspaper to send to current and former employees. It’s a way to share the work and events they’ve delivered over the past six months and celebrate the people that made it all happen. The charming cover of this latest edition was designed by RY artworker Imran Jogee. 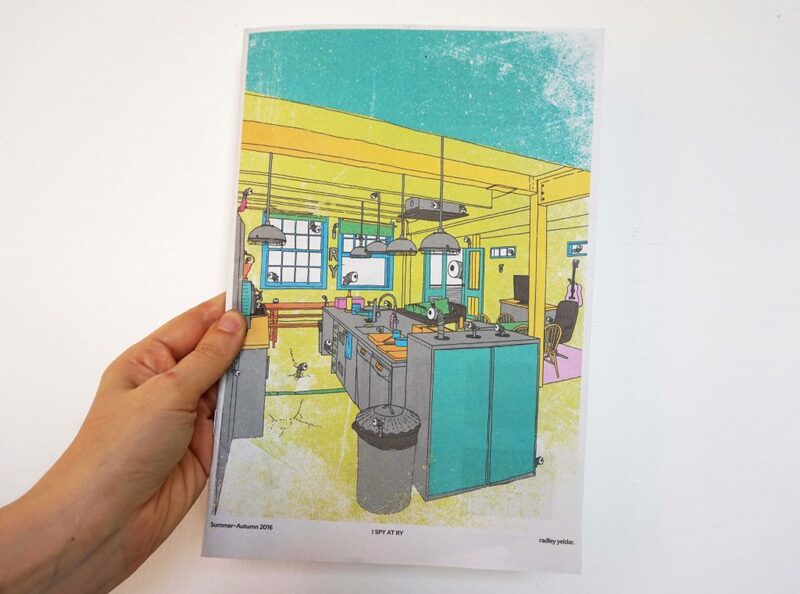 Illustrator Andy Smith is a longtime friend of Newspaper Club – he's been using newsprint to show off his work since 2012. "It's much better than yet another email newsletter," he says. "A printed newspaper arriving at the office cannot be ignored!" 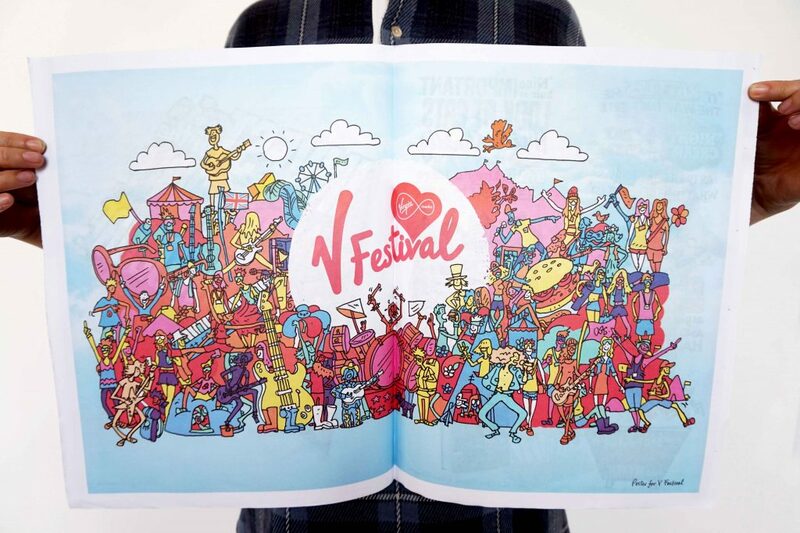 Smith's latest portfolio is packed with exciting new projects, from book jackets for Penguin to a splendid poster for V Festival, printed as a double-page spread. This year, he's upgraded to our thicker and whiter 70sgm bright stock, to give his colourful illustration extra punch. You can flick through all of Andy Smith's newspapers in The Newsagent. 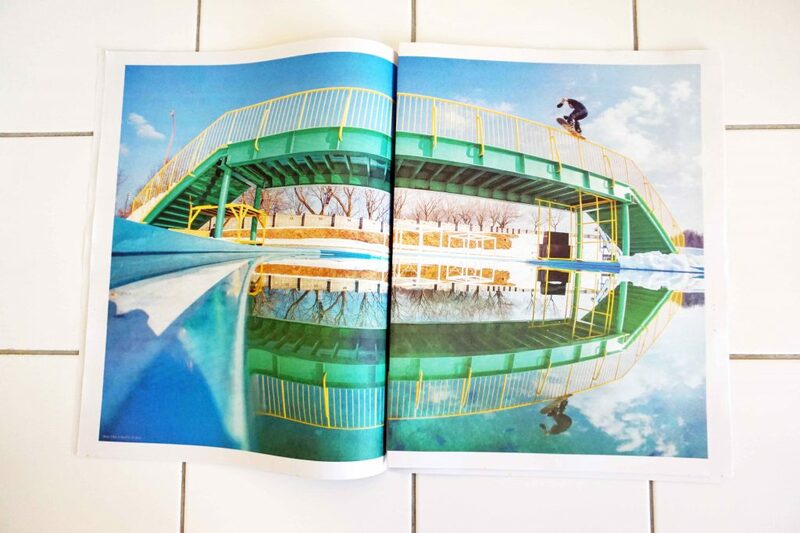 This winter, photographer Matt Georges followed the Vans Snow Team to Japan – across the deep backcountry of Hokkaido Island and through the streets of Honshu. He collected his favourite snowy shots in a 48-page newspaper, which will be available soon (for free!) in Vans stores across Europe. "We're all super fans of newsprint at VANS," Georges says. "We're really happy with how it turned out." Last week, magazine lovers from around the world gathered for magCulture’s annual Modern Magazine conference in London. Included in the event goodie bag was this newspaper from Commercial Type, promoting their latest typeface releases – Le Jeune (designed for Vanity Fair magazine), Canela, Robinson, Giorgio, Tanja, Austin News Headline, Marr Sans Condensed and Algebra. A quote from Karl Lagerfeld ("I'm very much down to earth. 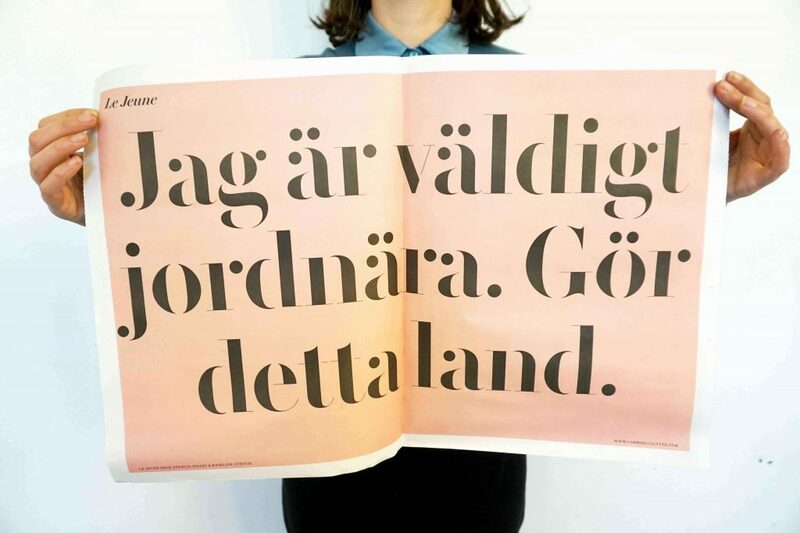 Just not this earth") is translated into different languages to showcase each typeface – above, his enigmatic words written in Le Jeune in Swedish. 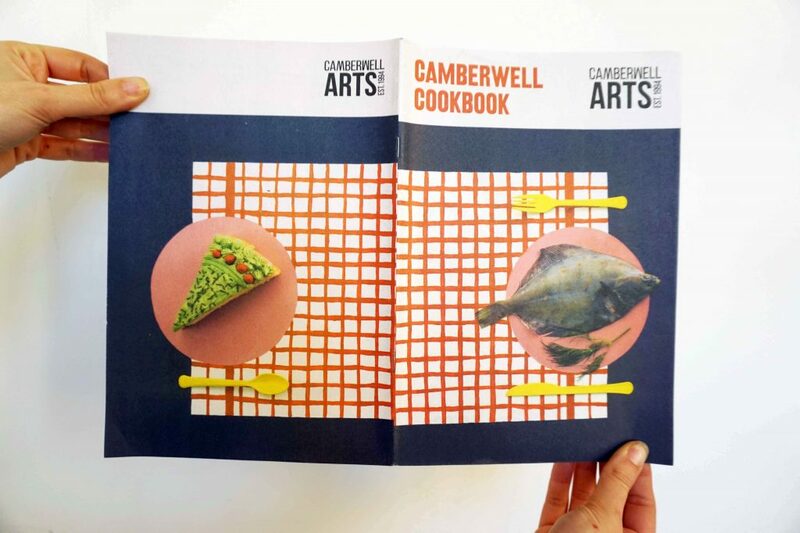 Highlighting the diverse cuisines of London's Camberwell district, this community publication, funded by the Camberwell Arts charity, features recipes like Cypriot stew and Nigerian porridge. Crowd-sourced from Camberwell's local restaurants, cafes and residents, it dishes up a "world of eating from one eclectic neighbourhood."